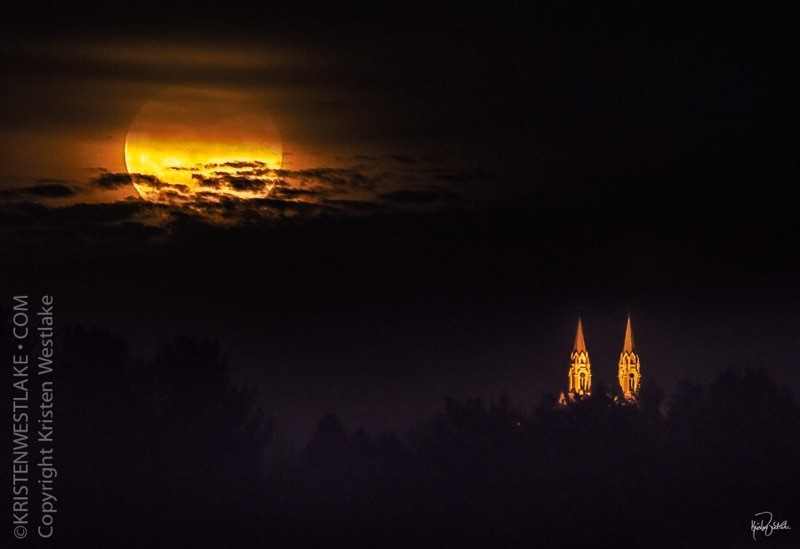 Holy Hill last night from 3.5 miles away at 600mm. This image was made at 5:30 pm, 72.9º azimuth from where I stood, and 3.1º altitude, just after the moon rose. Though I was 'skunked' by trees and clouds, I shifted 'gears' and looked for another opportunity. So even when plans don't work, the silver linings are those spur of the moment executions of the beauty that God puts in front of us (me in this case).